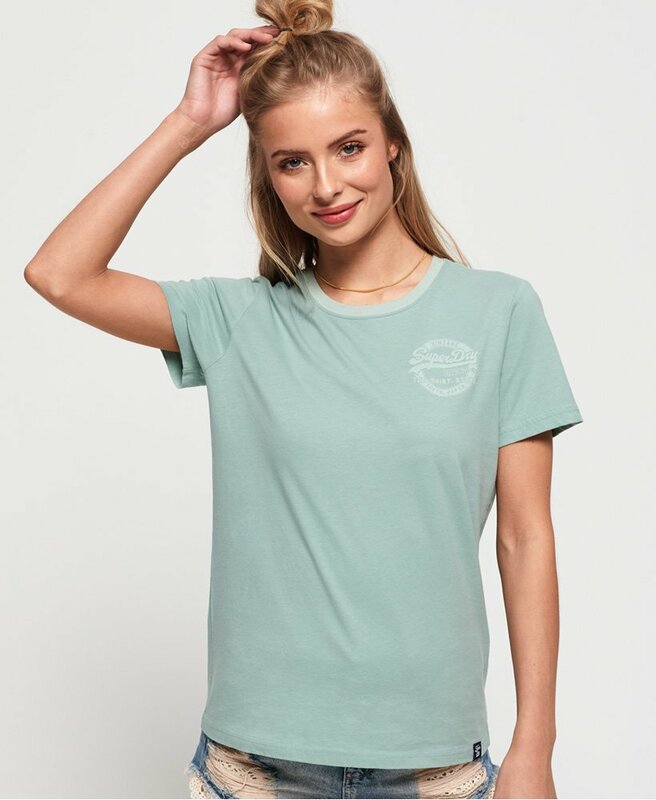 Superdry women's Vintage Logo Heritage t-shirt. An essential item for your wardrobe that can be worn year-round, featuring a contrasting crew neckline and Superdry logos on the chest and back. This tee is completed with a Superdry logo tab on the hem. Style with ripped jeans and trainers for an effortless look.